Mr. Carter expands his empire to the UK. Jay-Z is expanding his empire yet again. The rap mogul has confirmed plans to open a 40/40 Club in Central London next year. Jay is partnering with British soccer star Ashley Cole to work on the bar and restaurant, which will be completed just in time for the 2012 Olympics in London. The club will not only benefit partygoers, it’ll also make a positive impact on London’s low income communities as Jay and Ashley plan to give first consideration for jobs to long-term unemployed residents of London. A portion of the club’s profits will support local charities. Other plans for the project include a modern American-themed menu and a state-of-the art DJ booth. 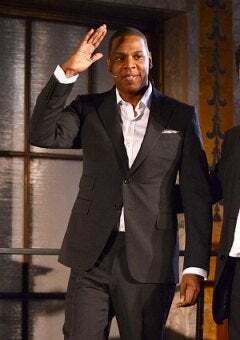 We love to see Jigga doing his thing and giving back!